Most hobbies are expensive. And right now, my adventure into farming is still at the hobby level. After growing a few boxes of tomatoes, and a lot of soggy lettuce, I was wondering if I should just give up on the AeroGarden. One consistent finding in the “Hydroponics Experiment” is that it’s simply cheaper to buy veggies at Costco or the local grocery store. I like the idea of growing my own food. But if this is going to work, I really have to cut costs. Hydroponics is a great project for me, as I don’t like dirt or bugs. There’s a problem with that mindset though. Pollination is needed to make the tomato fruits grow. 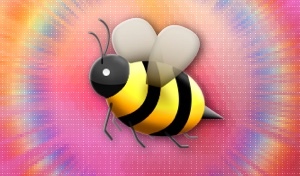 That usually involves bees fluttering their little wings around the flowers. A strong wind could also shake the whole plant. But with an indoors AeroGarden setup, neither action was occurring. To ensure that my tomato plants would produce lots of tasty fruits, a bit of technology was used. 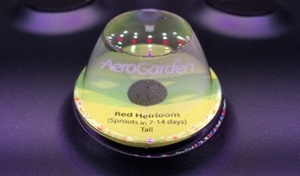 If you’re thinking about picking up an AeroGarden as a hobby, you should know something important – IT’S BORING! After five weeks, there hasn’t been a whole lot of involvement. Most of the upkeep involves filling the AeroGarden water and occasionally tossing in some nutrients. Although, there were a few interesting events during this project. In life, there are ups and downs. And since the tomato plants are living things, it too had its share of achievements and setbacks. From October 24 to November 13, Costco Wholesales is having a sale on the Miracle-Gro AeroGarden Ultra LED. At $159.99 – with the cherry tomato kit – it’s $40 off the usual price. Still feeling badly from my failed hydroponics experiment, I decided to try yet again. After squishy lettuce and slimy tomatoes, picking a different hobby seems like a reasonable decision. Yet, I can be relentlessly stubborn. With all the time I spend in front of the computer, the idea of growing vegetables seems relaxing. After watching my lettuce slowly decay, it took me a while to regain the motivation necessary to continue with this project. When I started this project, I thought hydroponics would be easier and less stressful than app or web development. Perhaps, for those with experience, it is. But for me, it’s been quite frustrating. Yet, I decided to try a do-over. I did learn some important lessons during my first attempt at hydroponics. 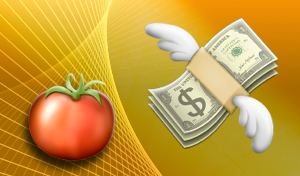 Perhaps a mulligan — with tomato seeds instead of lettuce seeds – would yield better results.